Nellie and the back of her card. I can give a ton of ideas for Nellie. Maybe you'll like some of then or maybe they'll inspire you to figure something out. Alan Reid 8SS or just tone him down and make him 7SS. Nefarious Pact will make him worth taking in other crews but 10SS is bleh for his card. Allison: she could really use "You can't escape the truth". Give Blackmail the built in . Or just give her attunned and a trigger for FImpassioned defense. Make the upgrades removable for 2 cards. Make Public Apology her second action That forces a move towards another enemy model and if they touch each other they kiss and get distracted. Give Nellie the Field Reporter Rapid Action. Almost all of Nellie's activation are: walk, Press Release, interact. I would agree with a lot of these changes, hope that we can see them come through before M3E go's live. The Nellie changes and the Asylum ones i would say as a priority. Here is an idea for Nellie, for your consideration. What if she had a bonus action like Seamus's (Basically an extra action, and can ignore restrictions [like the one for press release] if you are near a corpse)? Her other actions still aren't that good, so I don't think she will be overwhelming. But it will mean you can sometimes use her only useful action more than once in a turn. Giving two upgrades a turn would be insane filth. Well, good news: now she doesn’t give any upgrades at all, and far fewer conditions. I am not sure I like the...change in power level, but journalism just got a great deal simpler to track. I expect there will be a rematch around here ASAP, if not necessarily with the same players. It appears that RAW, Temper Steel now overwrites Analyze Weakness, and Analyze Weakness no longer tracks amounts of Shielded. I am going to test them out tomorrow and feed it back but my initial reaction to Exclusive interview is.... what am i doing with the interact action i am controlling? will be interesting to see the play tests but i already feel this may not work or just not come up a lot. I agree she feels like she may have just slipped further down the table of power level, we will see! to the cards! The flipped engagement requirement for One More Question is a head-scratcher as well. In a Nellie mirror match (among others), nobody is engaging anyone and neither Nellie can use a melee model in her crew to force the action to have a damage track. I don't think Nellie had power issues. She was pretty decent power-wise. I'm still curious why Reveal Source was left when it was the worst action on her card. The crew can't move enemy models, can't hold them in place and has a lot of auras that everyone will just walk away from because they are 2". It also doesn't have a lot of staying power to survive the retaliation. Yeah, a bit of a head scratcher for me. I see how those upgrades were questionable all beta, so not surprising (though a bit disappointing) that they're gone. There seems to be a lot of moving parts just to get a few interacts, some slow, and some tick damage out. Is she supposed to be a tarpit master? Except none of her guys have engagement ranges or staying power. Is she supposed to control interactions? That's nice, but drop it would probably of been more useful on a day to day basis. It's also tough cause there's no ability within theme to move scheme markers around, so even if she can consistently make people interact and control those interactions they'll go up against the 4" limit. And other than One more question I'm not sure what I'm doing with her, as the rest of her abilities seem pretty lackluster. I also find it funny that Field Reporters (theoretically her bread and butter minion) have a back of the card that's nearly bare without sharp wit. Even the puny newsie has more going on, ha. I'll have to give her a go, cause I agree, seems like she's slipped. I'm interested in how in theme battle reports without a lot of verse / out of theme min 3 beaters goes, cause seems like she'll just flounder without consistent damage / engagement / etc. I gotta admit, I think exclusive interview has a lot of possibility. Controlling the place yourself will mean you can maybe place the marker in a place that messes with their ability to get markers down where they want them. It will also defend against deliver the message, turf war, and maybe force planting explosives where they don't want to. If they aren't playing attention cursed object could be crippling. There is a mistake on humiliation. It's incomplete. All in all I like it. Still think Dade doesn't work. For me the issue with Nellie power wise was she was dull and her impact on the game was a upgrade a turn and that was it really and her crew just ran around hoping they would not die and not really being able to stop the enemy crews plan. Reveal Source I think is just a terrible ability as way of dealing damage as a scheme marker denial peice maybe but that's alot of setup from your models and now because drop it is gone you have to obey the rules of interact actions so you can trigger to get the enemy to place one then.... you can't do it again within 4 inches of the marker they just placed? That seems like that maybe a issue because any scheme marker near by will block this trigger really. So her trigger to interact will be wasted you may have some luck in plant explosives with this but to the point were she will another NPE as she and her crew will just stop you touching the bombs. Please go back to the drawing board with nellies abilitys or at the very least reveal source? And the one trick I did use to use keep her crew alive has now gone was the ability to attach the upgrade and through a model out of position. The crew needs some engagement to give them ability to lock models and definetly needs some more movement for board control. I agree. The upgrade did more than an enemy activation but there was nothing left to do after you used Press Release. She wasn't weak. She was not fun to play with AND the teleport on Press Release made it not fun to play against. It's awful. I never used it, saw nobody use it because getting even 2 damage is hard. I'd honestly swap the effect with the trigger. She will be good in Plant Explosives but apart from that I don't think there are any reasons to take her. The flipped requirement doesn't really change a lot in a Nellie vs Nellie matchup. WIthout OOK models you couldn't really use One More Question. It will also defend against deliver the message, turf war, and maybe force planting explosives where they don't want to. I agree. But now you can remove friendly markers with an interact so it's slowing them down at best. Or they can just, like, walk away and do it because you can't hold them down. The biggest buff is you can't score Deliver The Message versus Nellie, ever. Another nerf that Journalists got, is that when you use False Claims and other things to drop markers, they don't get Focus/cards. Nellie had a similar ability in M2E and it after playing her for a year, I managed to trigger it around 4 times. I think Blackmail is strong. Combined with trigger canceling, getting fast and a pretty decent damage track from Focused I'm slowly thinking I can take her OOK. Seems this part got missed amongst the Nellie discussion. Gotta say, this is a pretty nice change for AW. Cause certain crews can't just stackblock past it. Gonna make some crews hella vulnerable. Better make that resist, or it's open season. It makes Tempered Steel a bit-less-useless. I don't think even with the -2 stacking Shielded on a model was worth it. Agreed Queller needs a push if he doesn't get a melee range. Papa Loco and Use This! asylum models. Still all too expensive and too closed off to be used as versatile models. Unless they get some general utility I don't see them. They could give out shielded/focus/draw cards and they could see some play. Right now all they can work with is Reid/Investigator Staggered lists. I re-ran the Nellie-and-peacekeeper list for more journalism on the new journalists (conclusion: they still can’t drop scheme markers worth a fart because of the 4” interact to scheme restriction no matter what crew is dropping them, but mucking with their interacts altogether has its high points. For me. Opponent was not amused). 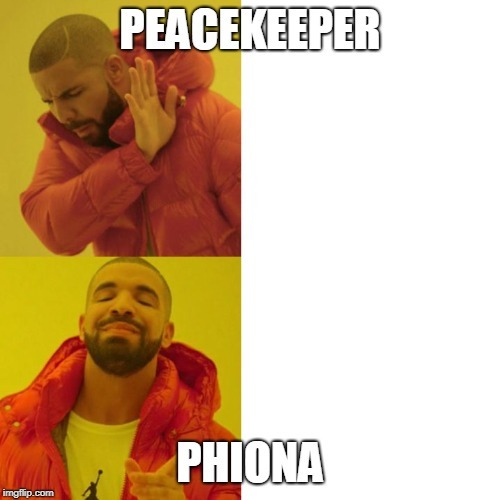 At one point I had Phiona take a hit for the peacekeeper because she was the far superior tank (Df 6positive Armor 1 soulstone user Phiona vs. Df 4 Armor 2 [blank] peacekeeper). Took a hit. INSTEAD OF the nominal giant stompybot tank. Because it was too fragile to chance the flip and would take more damage overall. Choosing that hurt, right thing to do that it was. PK is hot garbage as versatile. I wouldn't pay 9SS for him right now when there are Judges, Emissaries, Riders and Phionas lying around. I've never met you, but I somehow can still imagine the pain on your face as you chose to do so. And for a bit of extra sauce, Ototo was on the opposing crew: same miserable low stats*, similar tank status, but he survived until turn three with Phiona and peacekeeper thwacking him, which is much more than I have gotten out of a peacekeeper lately. HtK and juggernaut heal, you see, on top of the soulstone use. Peacekeepers...there should be ping damage hired against a Hoffman crew to get around the armor (and so evading HtK at low cost) and heals are already present, but outside of it, maybe not so much. I wonder. *Not the best idea into Nellie, Wp3. Fortunately for him Nellie had other things to do, like flee for her life.